It begins with one thread. As the yarns intersect, a woven universe takes form, one that gives the material its visual, tactile and functional uniqueness. 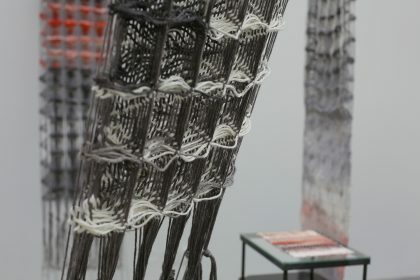 In this work, I delve deep into my own understanding of the woven structure. At the moment of weaving, my entire body is in close encounter with the material. I see each thread as an individual particle in collaboration with many of the same, holding up the architecture of the weave. My eyes grasp each thread as it passes through the structure, slowly shaping the pattern. Simultaneously, my hands perceive tactile information of the fiber and construction qualities. By following the threads, their color and structure changes on a more intimate level and I’m invited to a deeper understanding of the very core of the weave. 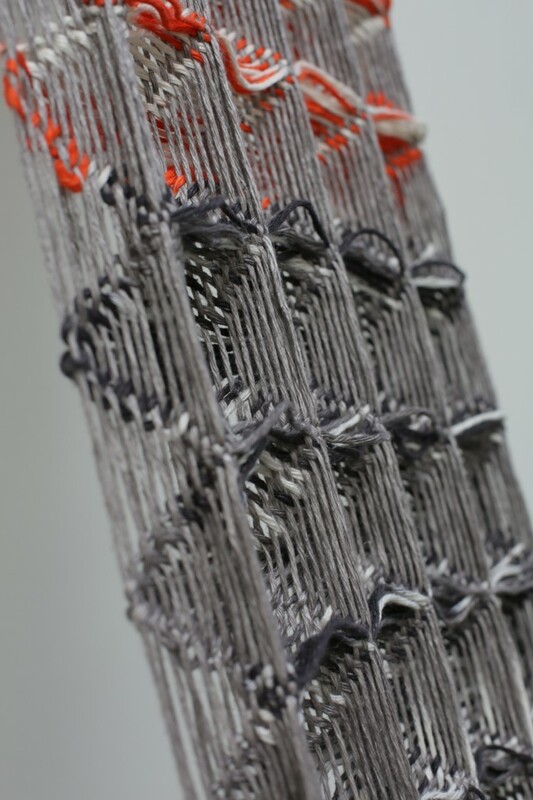 The Architecture of Threads is my final project at the master program Textile in The Expanded Field at Konstfack University College of Arts, Crafts and Design.